აშდოდი (ებრ. אַשְׁדּוֹד (აუდიო) (?·i); არაბ. اشدود, إسدود Isdud) — ქალაქი ისრაელში, ხმელთაშუა ზღვის სანაპიროზე, თელ-ავივიდან 30კმ-ით სამხრეთით. აშდოდის პორტი უდიდესია მთელს ისრაელში და მთელი იმპორტის 60% შედის. აშდოდი დაარსდა 1956 წელს, თუმცა ქალაქის სტატუსი მხოლოდ 1968 წელს მიიღო. (1923) რედ. Barron, J. B.: Palestine: Report and General Abstracts of the Census of 1922. Government of Palestine. Conder, Claude Reignier; Kitchener, H. H. (1882) The Survey of Western Palestine: Memoirs of the Topography, Orography, Hydrography, and Archaeology. London: Committee of the Palestine Exploration Fund. Department of Statistics (1945). Village Statistics, April, 1945. Government of Palestine. Hadawi, Sami (1970) Village Statistics of 1945: A Classification of Land and Area ownership in Palestine. Palestine Liberation Organization Research Centre. Hütteroth, Wolf-Dieter; Abdulfattah, Kamal (1977) Historical Geography of Palestine, Transjordan and Southern Syria in the Late 16th Century. Erlanger Geographische Arbeiten, Sonderband 5. Erlangen, Germany: Vorstand der Fränkischen Geographischen Gesellschaft. ISBN 3-920405-41-2. ↑ Bordeaux - Rayonnement européen et mondial French. Mairie de Bordeaux. დაარქივებულია ორიგინალიდან - 2013-02-07. წაკითხვის თარიღი: 2013-07-29. ↑ Bordeaux-Atlas français de la coopération décentralisée et des autres actions extérieures French. Délégation pour l’Action Extérieure des Collectivités Territoriales (Ministère des Affaires étrangères). დაარქივებულია ორიგინალიდან - 2013-02-07. წაკითხვის თარიღი: 2013-07-29. 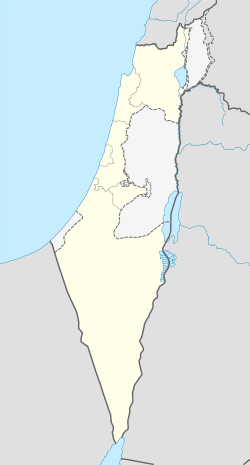 ↑ Ashdod, jumelée à Bordeaux le 7décembre 1984 French. Official Bordeaux website. წაკითხვის თარიღი: September 18, 2007. ↑ Bahía Internacional Ciudades Hermanas Spanish. Official Bahia Blanca website. დაარქივებულია ორიგინალიდან - September 2, 2007. წაკითხვის თარიღი: September 18, 2007. ↑ Städtepartnerschaften des Bezirks Spandau German. Official Spandua website. წაკითხვის თარიღი: September 18, 2007. ↑ Tampa Sister Cities. Official site for the city of Tampa, Florida. დაარქივებულია ორიგინალიდან - 18 October 2007. წაკითხვის თარიღი: September 18, 2007.
ეს გვერდი ბოლოს დარედაქტირდა: 11:11, 3 ოქტომბერი 2017.